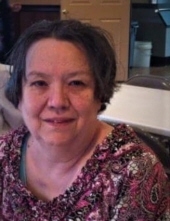 Mrs. Brenda Ann Herron Adams, age 69, of Herron Road in Martin, Ga. passed away Wednesday, April 10, 2019 at the home. A daughter of the late A.B. and Tina Fuller Herron, she was born November 18, 1949 in Stephens County, Georgia where she lived for most of her life. She was employed with Vermont American for twenty-five years, and later a homemaker and caregiver for her mother. Mrs. Adams was a member at Tom’s Creek Baptist Church. In addition to her parents, she was preceded in death by her sister, Audrey Simmons. Mrs. Adams is survived by her husband, Earl Adams of the home, a daughter, Leah Adams of Toccoa, son, Lee Adams of Martin, beloved “Meme” to three grandchildren, Kaylee Adams, Seth Adams, and Morgan Adams-Howell, two brothers and sisters-in-law, Alton and Faye Herron and Alan and Nan Herron all of Toccoa, and a number of nieces, nephews, and cousins. The funeral service will be held Saturday, April 13, 2019, 11:00 A.M., at Tom’s Creek Baptist Church with Chaplain Jeffrey Herron officiating. The following gentlemen have been selected to serve as pallbearers, Michael Herron, Kim Herron, Scott Herron, Chad Herron, Walker Herron, Corey Roberts, and Cole Roberts. Pallbearers, please assemble at the Acree-Davis Funeral Home by 10:00 a.m. Saturday. The family will be at the home on Herron Road in Martin and will receive friends at The Acree-Davis Funeral Home from 6:00 p.m. until 8:00 p.m. Friday evening. To send flowers or a remembrance gift to the family of Brenda Herron Adams, please visit our Tribute Store. "Email Address" would like to share the life celebration of Brenda Herron Adams. Click on the "link" to go to share a favorite memory or leave a condolence message for the family.